Transformational Healing is a new experience to most. Here’s a guide for what to expect from a visit. Life Coaching – Frank conversation. Science says that we are in our unconscious brain 95% of the time and in our conscious brain 5% of the time. Life Coaching brings consciousness and awareness to patterns, reactions, and beliefs that limit your life. We look at the excellent reasons why you do the things you do. We bring choices to either/or thinking that empower your life. We ask the tough questions to inspire, enlighten, and help you start thinking in a new way. The goal is greater self-awareness and a move toward changing habitual, unhealthy, defensive patterns. The skill set that you currently have brought you to your current life crisis. It’s time to take responsibility for where you are and we teach you alternative ways to look at reality, to react, to be. We teach new relationship skills, communication skills, conflict skills, and ways to be with yourself in love versus fear. We give you new healthier skills to replace the ones that no longer work for your life. It all starts with you. It all ends with you. We cannot fix anyone else’s bad habits. We can only focus on you. Even though we call ourselves healers, it is YOU who is doing the healing through self-discovery and self-actualization. We help you see the beauty and brilliance that lies within you – just waiting to be seen and accepted by you – and only you. Once you shore up your inner-authority, you are no longer at the mercy of other’s opinions and judgments. You no longer find your validation from outside of yourself – but trust your wisdom and your ability to make good decisions for you and your life. The twist in our work is the use of non-traditional techniques. These techniques are powerful ways to find clarity or release what no longer works for us. They help release what has passed and can bring joy and completeness to any grief or loss. These non-traditional techniques can include grounding, burnings, guided meditations, and table work. These techniques help you learn how to listen to your own inner wisdom and can help stop the negative cycles brought on by stress and other triggers and bring about personal clarity. You’ll discover the ability to pause the mental “white noise” and sit in the moment, becoming present in what is happening now. This work is done after much of the initial life coaching and new skills have been taught. Table work is not for everyone – but what we have found is that once a client is put on the table for the first time – at every session thereafter, they ask to go back on the table. Removing blocks from your energy field. Think about the last time you had a headache, a sore foot or bad news. It affected the way you spoke, walked, listened, how you moved, your ability to focus, and so on. It affected your chakras (a Sanskrit word for turning). Simply put, each of the seven chakras is associated with particular organs, glands and nerve networks. So, just as the perfect touch can soothe an aching muscle, or a proper nutrient can stimulate a gland, a chakra can be stimulated to balance our life Energy will flow better through your mind and body. Clients learn to tap into the purposes of the specific chakra (safety, sexuality, love of self, love of others, love of God, boundaries, etc.). Unearthing lessons to learn. Blocks that have been sitting in your energy field for ages can be removed and the lessons within each block can be discovered, explored, and integrated so that the client can move forward on the life path. Bring intentions forward. Through Hara work, the client’s true intentions are brought to forefront of their consciousness. They can see the ways they resist achieving intentions, and why. We are made of vibrating energy and these harmonic vibrations can be detected by our inner senses. Just as a tuned musical instrument feels and sounds better to the user and listener, people feel better after their energy vibrates in a more harmonious manner. 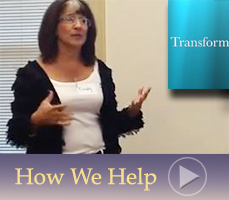 Following the Brennan healing method, Cindy uses harmonic induction to help clients connect the spiritual with the world of daily life. Discover guidance and direction. This process offers enlightenment from many sources. This is a time to explore the session work. Your discoveries, new questions and ways to move onto next steps toward healing. Sessions can be in several forms: In person in Cindy’s quiet studio, via telephone and via Skype. Call 703-966-7620 to schedule your appointment now. “Working with Cindy has enabled me to move forward in so many areas of my life. I have learned how to evaluate myself and my life and make healthy decisions. I am energized by the possibilities I can allow in my life and look forward to every session!” – Erin K.
“Cindy is not just an energy worker. She is a healer of the body and soul, organizer of the mind, and personal data processor. I came to her at the hardest time in my life. She helped lift me through this period and got me excited about the positive things to come. She is refreshingly real, open and honest.” - Courtney S.